This movie looks cool! Take yo chilrens to see this movie and please support this Black man in his animation directorial debut! 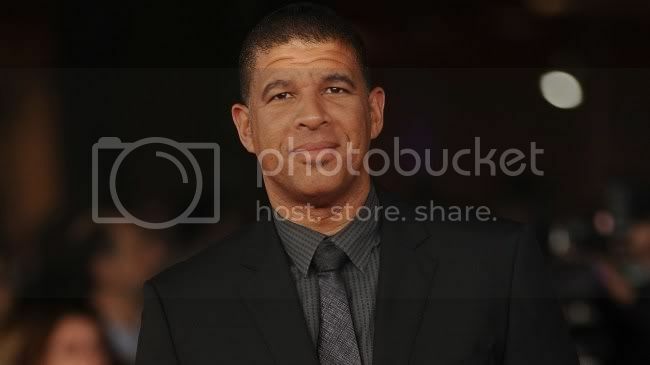 In many eyes, Peter Ramsey, director of the upcoming DreamWorks film Rise of the Guardians, is a pioneer: the first African-American filmmaker to direct a major, big budget CG-animated motion picture. Yet for Ramsey, himself, the milestone feels more like a necessary progression of sorts than an executed plan. The director, who was honored by the African-American Film Critics Association (AAFCA) and the City of Los Angeles at a special screening of the movie on Saturday in L.A., believes the crowning achievement is due to his dedication and focus, sticking out the grind of Hollywood in order to let time open up a world of grander playing fields. Ramsey’s work in filmmaking dates back to 1989, when he started out as a storyboard artist for the live action film, A Nightmare on Elm Street. As a kid, he grew up in the Crenshaw district of Los Angeles, attending grade school in the neighborhood then heading west-side to the Palisades for an arts-driven high school. He spent two years in college at UCLA before dropping out to pursue his interests in the movie business. In Hollywood, Ramsey continued up the art department ladder, working with top directors like Steven Spielberg, Ang Lee, John Singleton and David Fincher on some of the more notable films of the last couple decades. He served as Assistant Director on Poetic Justice and Godzilla, among others, and primarily focused his work on designing live action stories before shifting gears to animation on 2004’s Shark Tale. With his directorial debut, Rise of the Guardians, out in theaters today, Ramsey pulls from his roots in traditional filmmaking and his keen sense of flair for the imaginative. The story follows a dedicated camaraderie between “North” a.k.a. Santa Claus (voiced by Alec Baldwin); “Bunny,” the Easter Bunny (Hugh Jackman); and “Tooth,” the Tooth Fairy (Isla Fisher) as they recruit Jack Frost (Chris Pine) to assist them in saving the world’s children from the darkness of “Pitch,” the Boogeyman (Jude Law). A sophisticated composite of sharp edits, close-up shots, theatrical lighting and 3D visuals, the film very closely resembles the feel of a live action feature, and is as funny and unique as it is charming. Furthermore, it’s testament to Ramsey’s bold and visionary demeanor, a vivid thinker who opted to have Santa Claus step out with arms covered in tattoos of the naughty and nice. Similarly, Ramsey’s life advances a mission set forth by many before him. He arrives at a time when the landscape in animation has begun a transition to more accurately reflect the American cultural diaspora. In 2009, Disney released The Princess and the Frog, its first animated tale to feature an African-American princess; in 2012, the studio debuted its first Latina princess with the TV movie Sophia the First: Once Upon a Princess. Neither film was absent of criticisms; many felt these characters were thrown into the story lines with no honor or sensitivity towards their heritage. Nevertheless, it was progress. As Ramsey sees it, animation has come along way in terms of diversity, stepping ahead of even live action when considering the entire process of filmmaking. In fact, Ramsey finds more issue with the lack of diversity behind the camera than he does in the spotlight. While he shies away from taking too much credit for his own story, now a major leader in a company at the forefront of CG animation, he does hope to serve as a cornerstone for what’s possible. Whether Ramsey will turn Rise of the Guardians into a franchise depends on the success of the film at the box office, but he expresses ambition and interest in the idea. He says he intends for children to see how to use imagination and creativity as “power against fear,” and looks towards the artistic direction of films like Star Wars, the Harry Potter series, Kung Fu Panda and Shrek as inspiration. He also brings to the table a love for the moving picture – real or computer-crafted – and hopes to eventually helm the reins of a live action flick as well. Being what AAFCA President Gil Robertson deemed the “Obama of Animation,” his future seemingly holds bright. That's nice to know . I told myself that I MUST watch this movie. I don't even need my baby sister to come with me. that's cool. I might go check it out.